Iv recently re discovered Revlon nail enamel. I remember it from years ago in my younger days when my mom was still alive she used it. And to my surprise the quality was awesome! And it has lasted long on my nails,I got about 5 days no chips out of it and for those that know me it’s alot!! 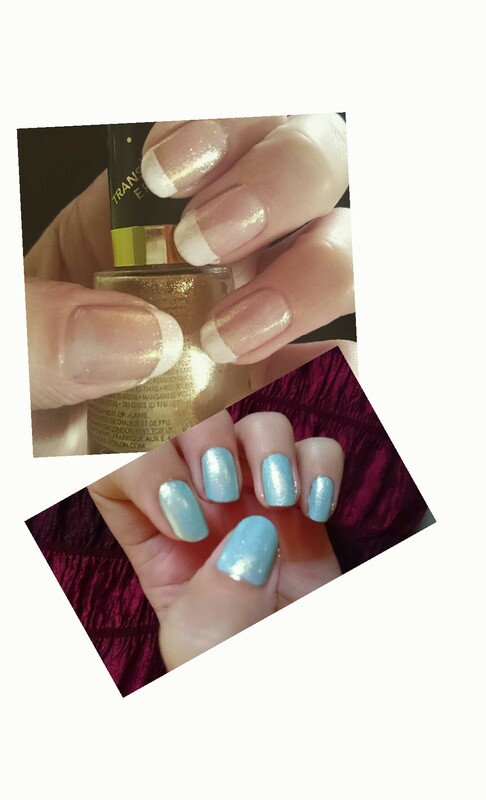 So a big thumbs up Revlon, my favourite ones are the Transforming effects top coat 775 Gold glaze (it looks great on all colours and a French) and the nail enamel in 525 Socialite cause it’s an amazing blue! And then the Revlon gel envy in 510 sure thing, it’s a stunning white that is great for a French mani. I’m sure you guys have seen my pictures of these going around, the blue and gold glaze make me feel like a princess it’s so sparkly and beautiful!!! And it got me thinking about what I can change about my habits with my hands to make my nails last longer! Now we all have things we do that we don’t even notice. Like the way I type on the keyboard, do you type with your finger or does the tip of your nail hit the keys? Check ur self, if you’re tapping your nails or typing with them then it’s a sure way to cause ur Polish to chip!! And then when you bath.. I only bath in super hot baths lol if the water isn’t hot enough then I’m unsatisfied! But this causes trouble even for a proper gel mani! The heat from the water can cause your Polish to chip or peel, try a cooler bath or try keeping your hands out the hot water by hanging them over the side or on the rains. The way you clean! I’m guilty of this! Next time your holding the cloth or scrubbing sponge and your scrubbing away, take a look at how your holding it, and if your nails are the ones doing the work! And be more gentle when washing dishes and also keep the water temperature down!